Powder foundations often get a bad rap. I've seen countless beauty columns advise to stay clear of them because they're "aging" – undoubtedly due to their glow-squelching mattifying effects. It doesn't layer well, and it's a slippery slope before you've overdone and caked up the skin. 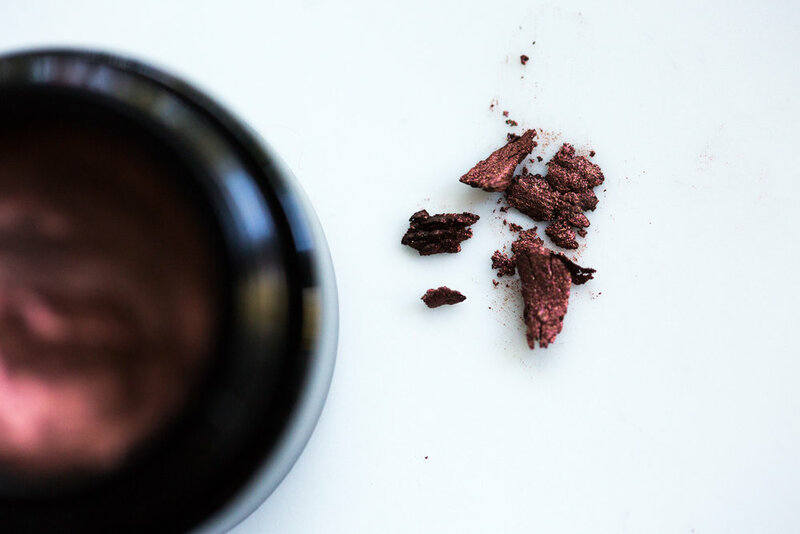 But it's really hard to go overboard with this compact, owing to Alima Pure's universally heralded mineral pigments, which have light-reflecting properties baked in. It covers blemishes and blends in sunspots, while looking like you're wearing nothing at all. And skin isn't parched after applying, it rests beautifully on the skin owing to the argan, evening primrose, aloe and shea butter in the formula. Think of this as a powder for those who've historically hated powder. Brilliantly packaged in refillable compacts, I'm already on my second pan. Drugstores have long been known for cult classic, iconic beauty mainstays, (Maybelline Great Lash, Coty Powder, Lipsmackers, etc...), but however celebrated these products are, they often belie cringe inducing ingredient lists. Not the case in Sweden, when during a random, harried stop in a drugstore to pick up eye drops, I encountered a display for Idun Minerals. The ingredient lists were remarkably clean, and the testers I played with seemed to perform like any department store line. Intrigued, I picked up a couple lipsticks and eyeshadows for gifts, which were enthusiastically received back home in the US. That said, I can't tell you how pleased I am that Idun Minerals is now launching in the US. Norrsken - Liquid Foundation reminds me so much of Diorskin, the Christian Dior foundation. It's mineral based and reflects light beautifully after it dries to a soft matte. The formula manages to be both hydrating and lightweight, containing the very Nordic addition of lingonberry oil. A medium to high coverage foundation, I dab this on sparingly as a concealer. Idun Minerals make fantastic lipsticks in both cream and matte formulas, all infused with Nordic cloudberry oil. The former are sheer and very wearable, much like the more natural lips I saw women sporting in Stockholm. But every now and then, I'd spot a more dramatic, playful lip on an otherwise clean face. Idun's matte lipstick line is more in line with that aesthetic. Jungfrubär, shown here, is a bright and deep rose. The eyeshadow palettes are absolute must-buys. They remind me (once again) of Christian Dior, specifically their eyeshadow pans. The colors tow the line between neutral and excitingly irreverent, and the payoff is marvelous. No creasing, high pigmentation and a mix of both shimmering and matte shades. Plus the eyeshadow brush is soft as silk and comes with a handy little stand to keep it upright on your vanity. Lastly, this is a holy grail moment. The Eir mascara is my favorite clean mascara yet. Most mascaras require multiple strokes to coax out long, fluttering lashes. Not the case here, I find I need to put the reigns on pretty quickly because it builds lashes surprisingly fast, taking me to full on statement lashes in a few swipes. I've had no issues with smudging on my top lashes (everything, sadly, smudges on my lower lash line because I'm stubbornly committed to using RMS UnCoverup as an under eye concealer, and the coconut oil dissolves everything it comes in contact with.) If there's one thing people constantly ask me for, it's a recommendation for a good, clean mascara. And I'm so happy to share this one with you. Also, Idun is celebrating the opening of their online US store! Please use IDUNxUSA at the check out to get a 20% welcome discount until January 15.